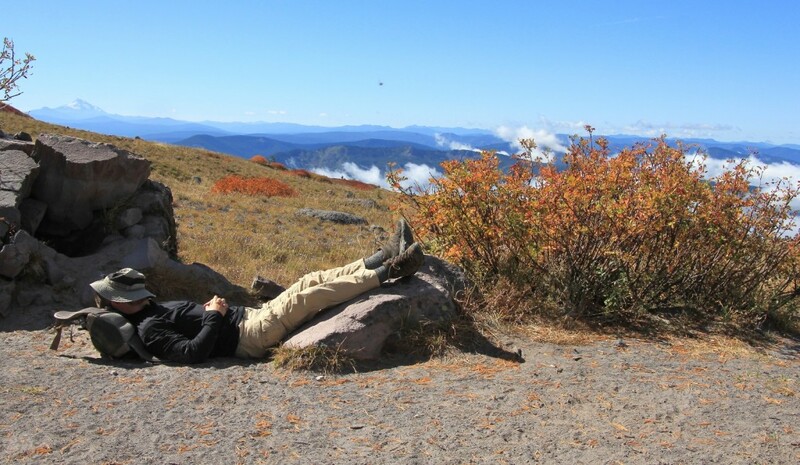 Great views of Mt. Hood, Mt. 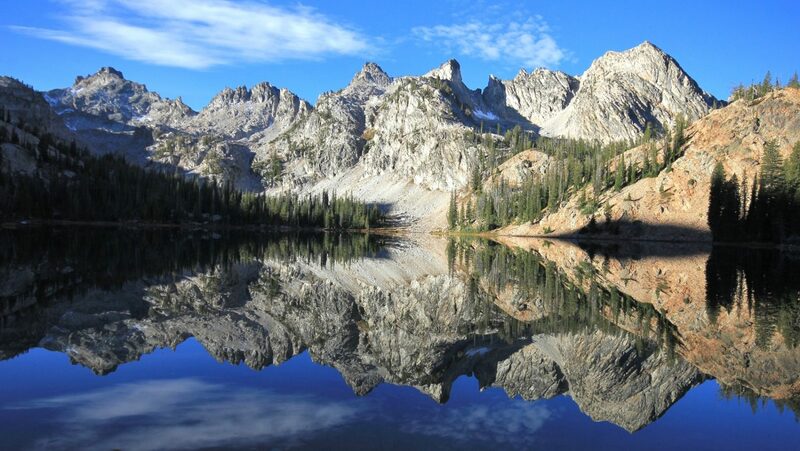 Jefferson and the Three Sisters on this hike along a stretch of the Pacific Crest Trail. 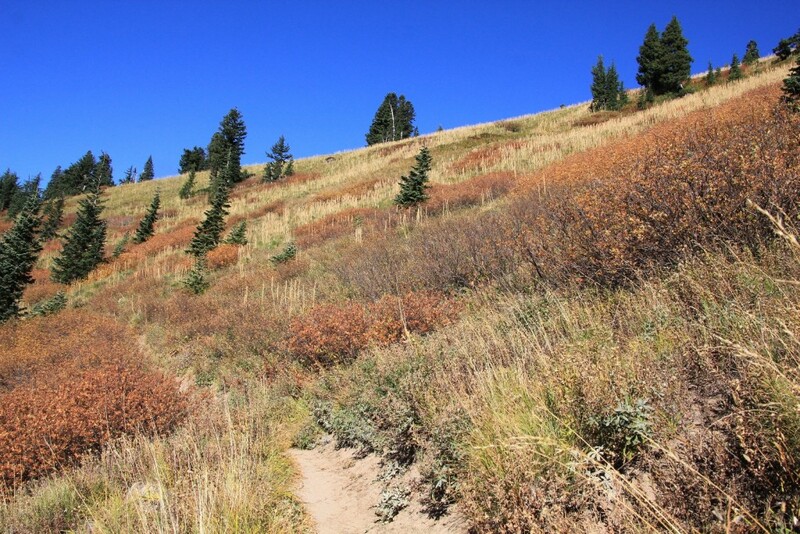 We took advantage of a beautiful long weekend in mid-September 2015 to hike the Elk Meadows area on the southeast flank of Mt. 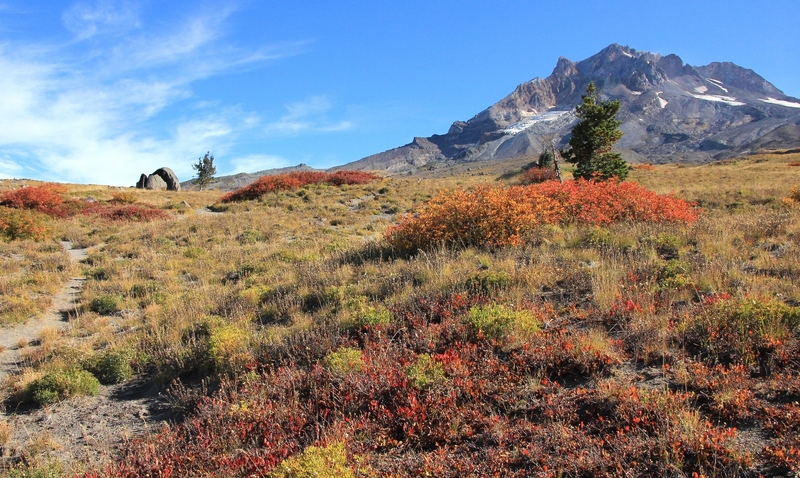 Hood (see post here), Paradise Park near Timberline Lodge at Mt. Hood, and Eagle Creek in the Columbia Gorge (see post here). After hiking Elk Meadows on Saturday, we stayed the night at a hotel in Government Camp so that we could get an early start on the Paradise Park trail before all the day hikers could make it up from Portland. 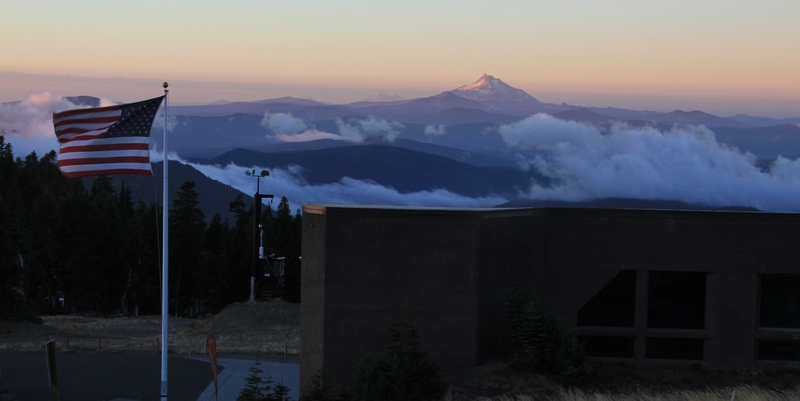 We checked out of our hotel well before first light and made the short drive up to Timberline Lodge in the dark. We arrived to gusting winds that blew with such force our car shook as we finished our coffee and had some yogurt for breakfast. It was supposed to be a warm, clear day, but the wind was an unwelcome surprise. 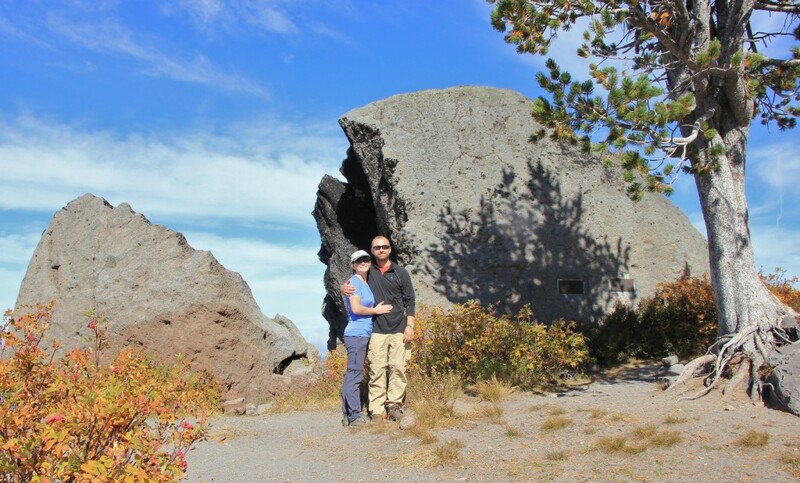 I wasn’t crazy about hiking in such windy conditions, but we weren’t about to let a little wind stop us. We loaded up all our gear and hit the trail just as the sun was starting to rise around 6:45. 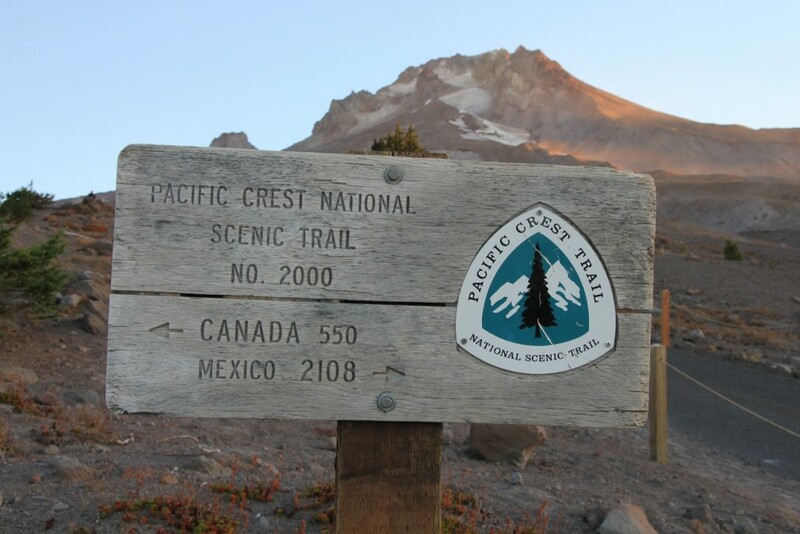 The trail to Paradise Park starts on the east of side of Timberline Lodge at 5,900’ elevation and makes a short climb to join the Pacific Crest Trail. Behind us, Mt. Jefferson and the Three Sisters dominated the sunrise. We turned left on the PCT and continued a short distance to the Mt. 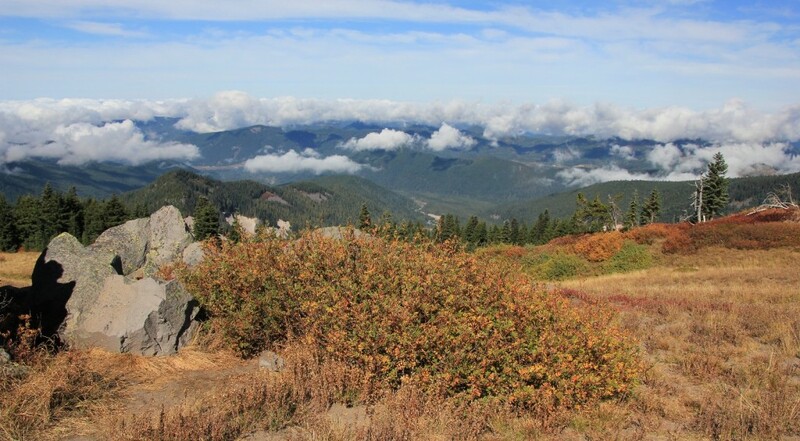 Hood Wilderness boundary.. This was a relatively flat stretch of trail with good views to the south. At a little over 1 mile, we hit Little Zigzag Canyon where we made a roughly 200′ drop down into and back out of the canyon. 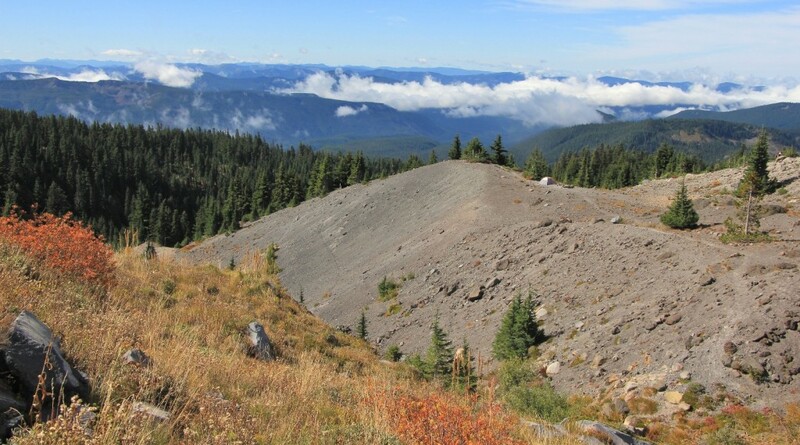 We continued through forest about a mile and then descended to the Zigzag Canyon Viewpoint at 5,550’ elevation. Here the wind was whipping up dust and grit as we found ourselves staring down into a massive canyon. We would drop 700′ down to the bottom of the canyon just to climb back out the other side. We started the descent into Zigzag. It soon became thickly forested and the wind died down significantly thanks to the shelter of the trees. The trail was well graded and was a relatively gentle descent. 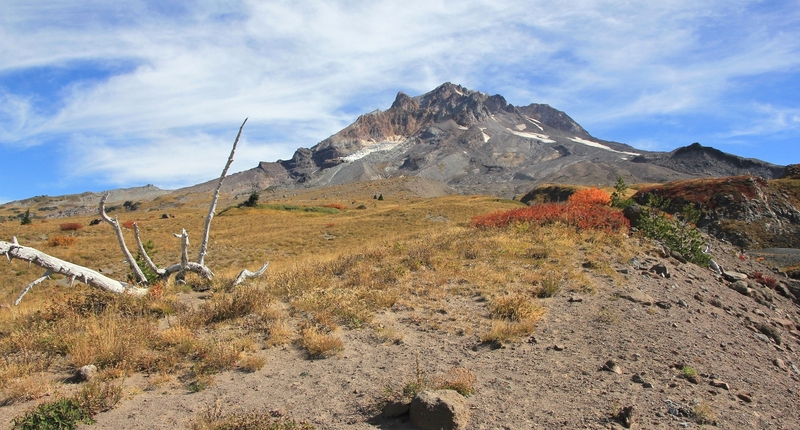 We chatted with two men who were backpacking the Timberline Trail that circles Mt. Hood. 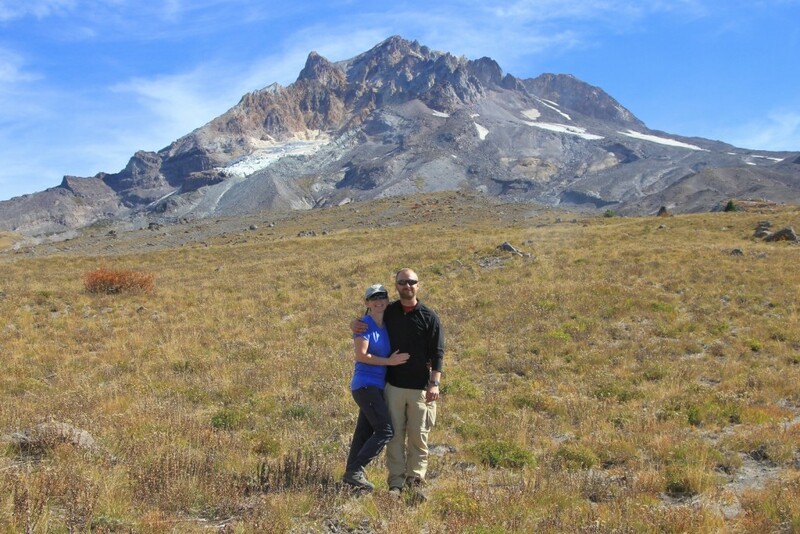 Add another item to Bucket List—backpack the Timberline! These were the first hikers we had seen all day. Down at the bottom of the canyon we had to ford a stream, but it didn’t pose any problems. Just upstream there was a pretty little waterfall. 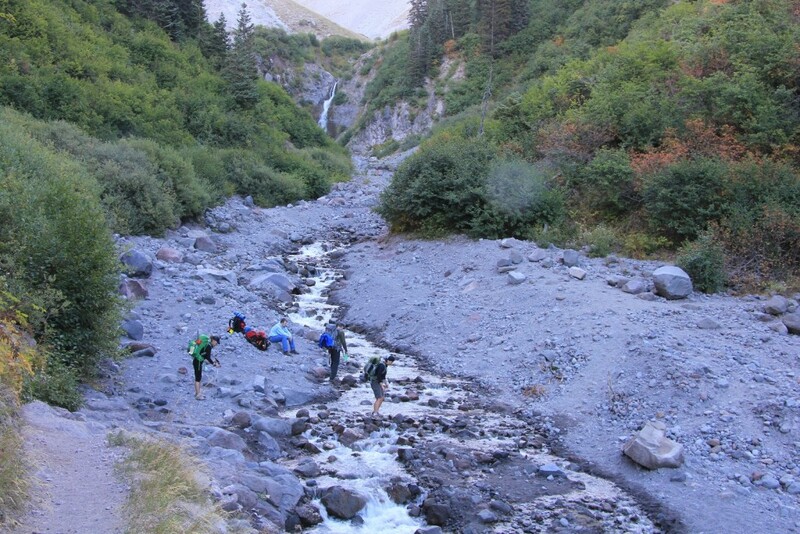 We saw a few backpackers coming toward us as we began our ascent back up out of Zigzag. At roughly 4 miles from the trailhead, we turned right at a well marked junction. The PCT continued straight ahead, but we turned right toward Paradise Park. We continued climbing for about another mile before the trail leveled out some. We had regained our views of Mt. Jefferson to the south and we began getting glimpses of Mt. Hood to the north. 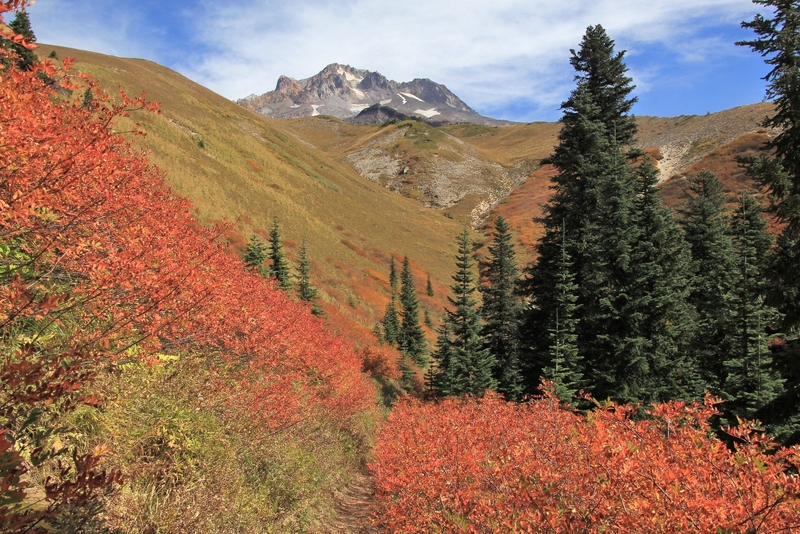 The fall colors were beautiful and I could imagine that the wildflowers here in early season would be absolutely stunning. 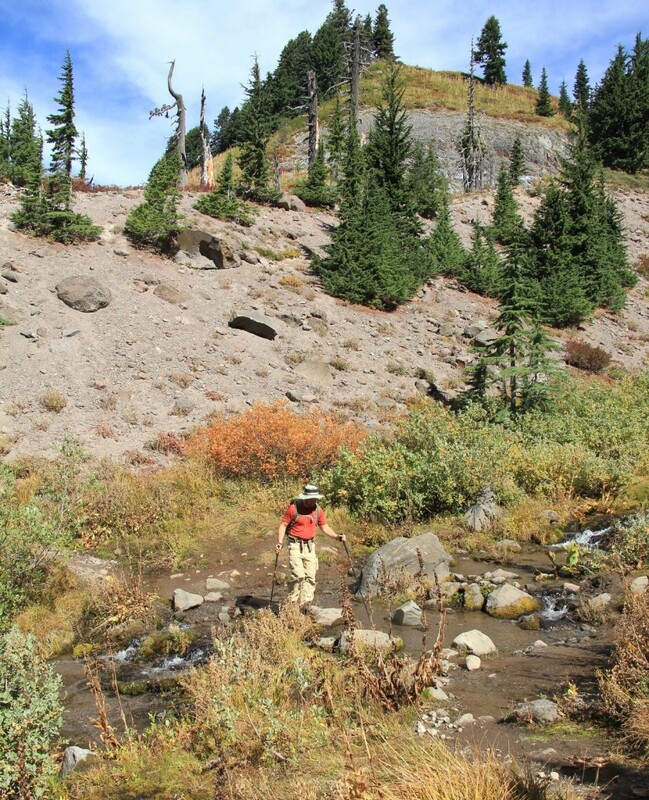 Near an easy stream crossing, we began seeing backpacking sites. They were all beautiful. Some had views straight up to Mt. Hood while others were perched out on points with views to the south. Some were nicer than others, but all looked nice. I told Jason I wanted to backpack here sometime during the week in late July to catch all the wildflowers in bloom. It would also be nice to see Mt. 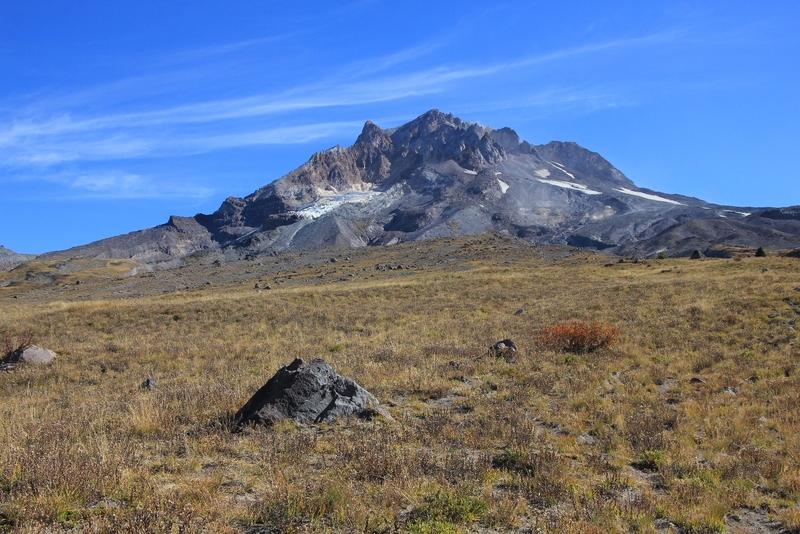 Hood with its characteristic snow covered peak- a record dry year had the mountain looking parched. By 10:15 we had climbed above timber line and we could see Split Rock up above the trail, roughly 6.25 miles from the trailhead. 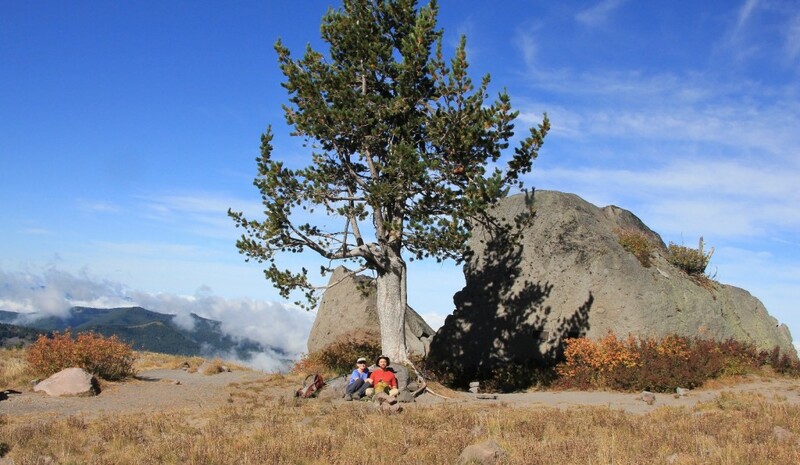 A well-worn hiker trail lead us to the distinctive rock. The winds had mostly died down and temperatures had warmed to t-shirt temperatures. We took about an hour long break here and enjoyed having the area all to ourselves. The wind had completely died down by the time we started our return hike. Within a mile we started passing the mass of day hikers. The first couple we passed asked how far we had gone. They had the same goal and were impressed by how early we must have started to be returning so early. 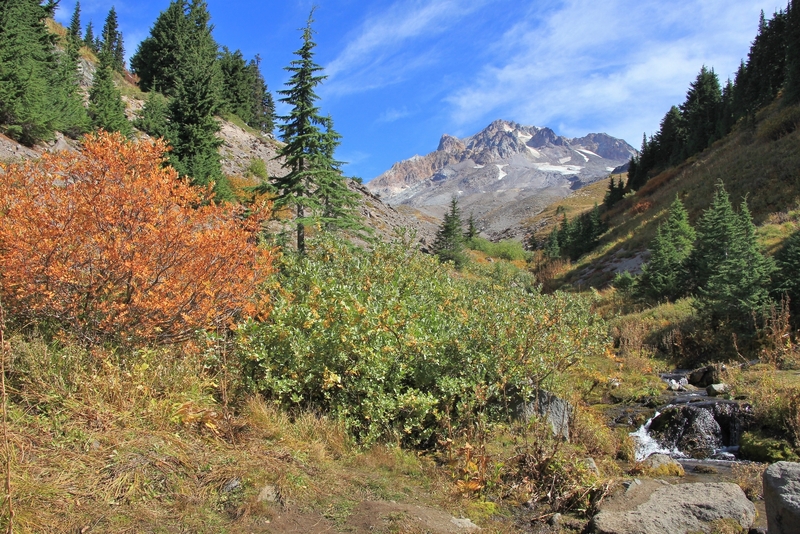 The return hike was delightful (although quite the workout) with the late morning sun lighting up the fall colors. Despite the windy start, we had timed the hike perfectly. By the time we finished the climb out of Zigzag, the skies were clouding up. 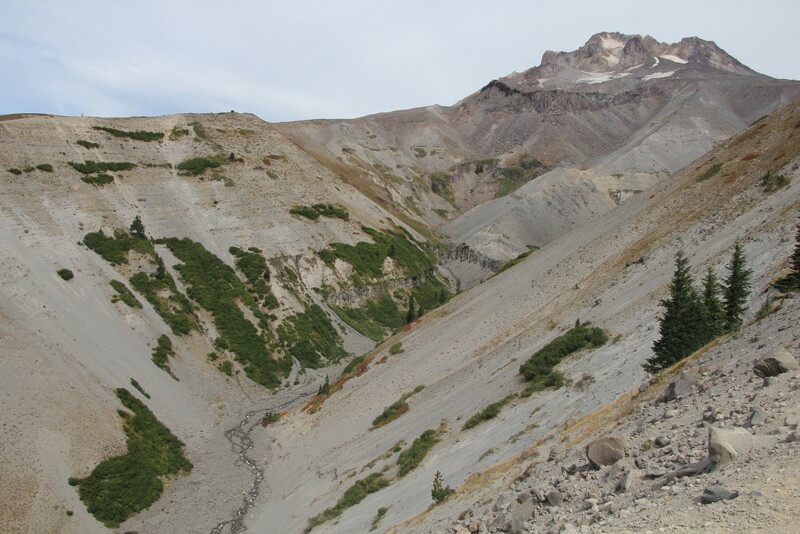 We arrived back at Timberline around 2:45 after hiking 12.5 miles with roughly 2,300’ elevation gain. It had been another great day on the trails of Mt. Hood. The weather forecast for the following day was cloudy and cool on the mountain, so we headed down to the Columbia River Gorge where we would hike Eagle Creek. Directions: From Portland, Oregon follow highway 26 toward Mt. Hood to the small tourist town of Government Camp. 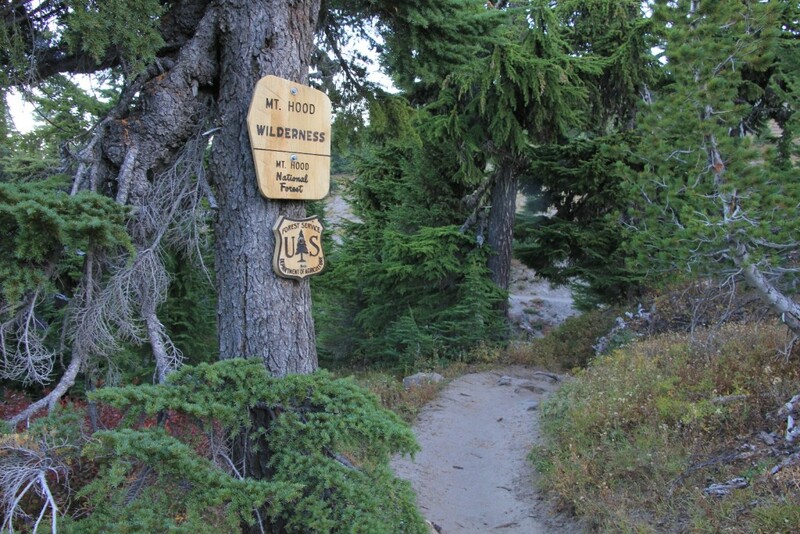 On the east side of Government Camp, turn left and follow signs for Timberline Lodge. Here you will find a huge parking area. 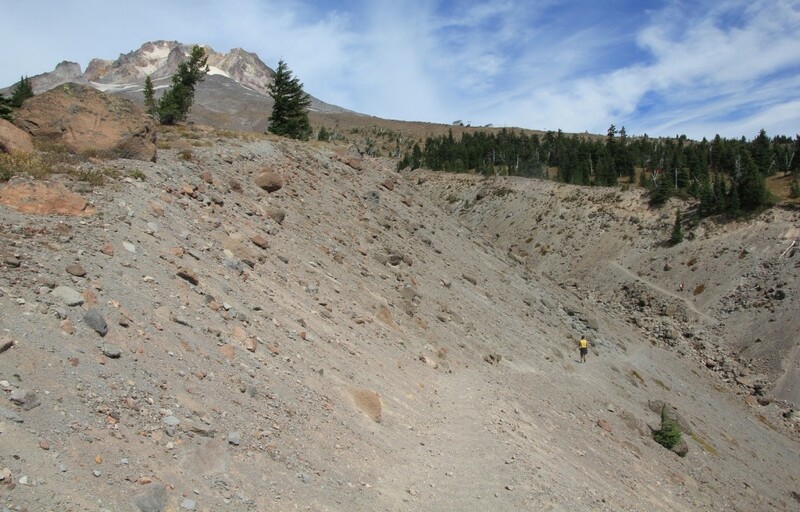 The trail begins on the right hand side of Timberline Lodge as you face Mt. Hood.